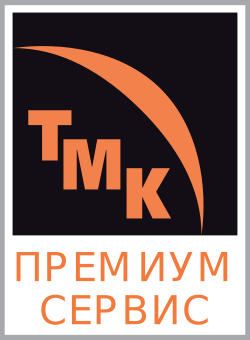 TMK, a leading global manufacturer and supplier of steel pipes for the oil and gas industry, united its two premium connections families TMK Premium and ULTRA under a single brand - TMK Ultra Premium (TMK UP™). Pipes with premium connections are designed for oil and gas wells developed in challenging exploration and production conditions, including offshore, deep-sea and the Far North locations, as well as for horizontal and directional wells. The products offer high strength, tightness, excellent bending capacity, and good resistance to other negative external factors. TMK IPSCO recognized that as oil and gas well geometries evolve, so should your casing and connections. TMK IPSCO provides casing and premium connections that increase casing performance in well environments including high temperature, high pressure, gas and hydraulic stimulation. Integrating TMK IPSCO casing products into your well can give the assurance that comes from highly engineered premium connections and tubulars that are tested under the toughest industry standards. The TMK UP™ products include threaded and couples connections for greater cased hole strength and slim profile integral connections that preserve a large casing internal diameter. TMK IPSCO is an industry leader in welded and seamless pipe, premium connections and accessories with the strength of more than twenty manufacturing facilities strategically located in the key energy producing areas of the world. Our legacy of quality, exceptional customer service and focus on innovation translates into unparalleled value for our customers. Our strength - in product and presense - gives customers a competitive edge, making us the ideal supplier for the oil and gas industry as well as many industrial markets worldwide.